A Rancho Grande is a settlement, a farm, a place where people gather. 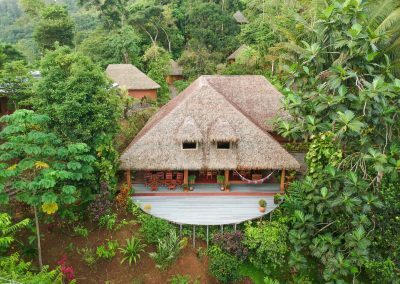 It was the first structure built at the Luna Lodge in 1998 and is the main lodge of Luna Lodge overlooking a deep river gorge, pristine rainforest, with a view to the majestic Pacific Ocean. 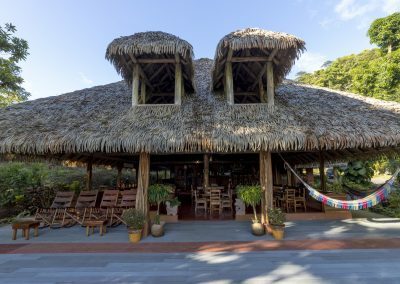 The Rancho Grande is the center of activity at the Luna Lodge and houses the restaurant, El Eclipse Total bar, kitchen, reception, library, and gift shop. 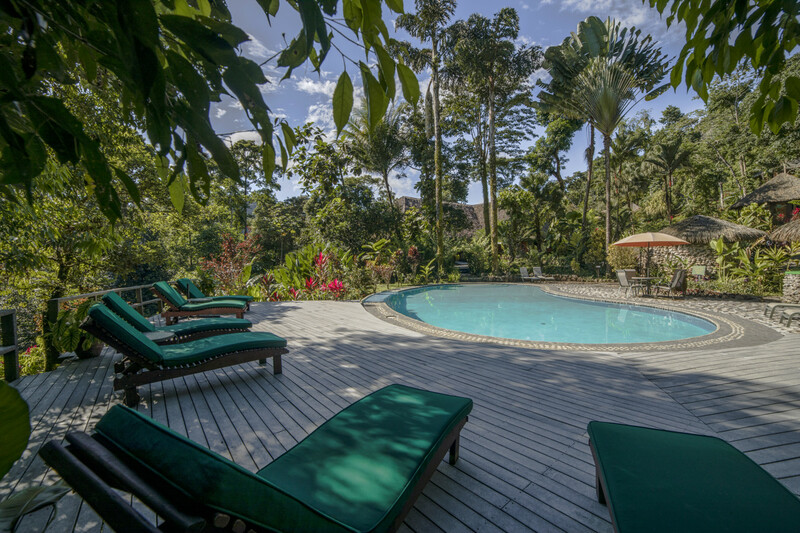 The organic garden and pool are adjacent to the Rancho. 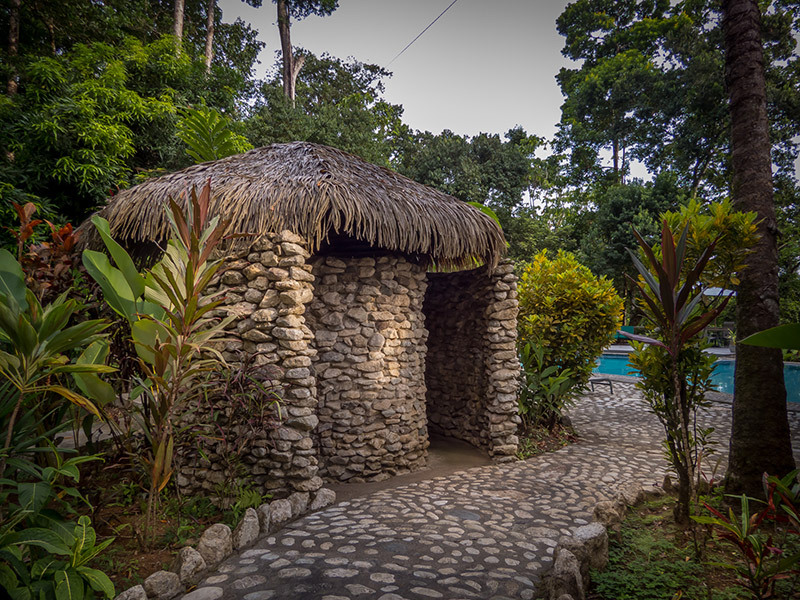 Each building on the Luna Lodge property is built with an eye to the rain forest and sustainability. 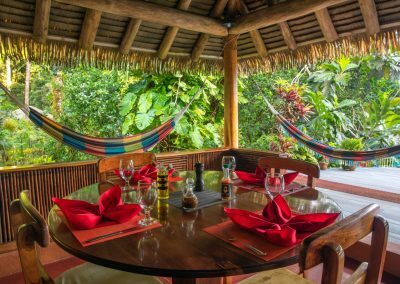 The Rancho is no different; its dimensions reflect those of the surrounding rainforest, with a towering roof soaring 25 feet to tree-top height over one of the largest rancho platforms on the Osa Peninsula. 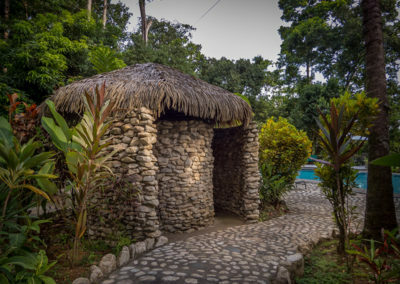 The roof is made of a recycled material, which looks like swita, a natural material that was traditionally used to roof houses in Costa Rica. The open air space reduces the need for electricity during the day for heating, cooling and lighting. Don’t forget to visit our gift shop! Yoga tops, sarongs, travel necessities, and great gifts. 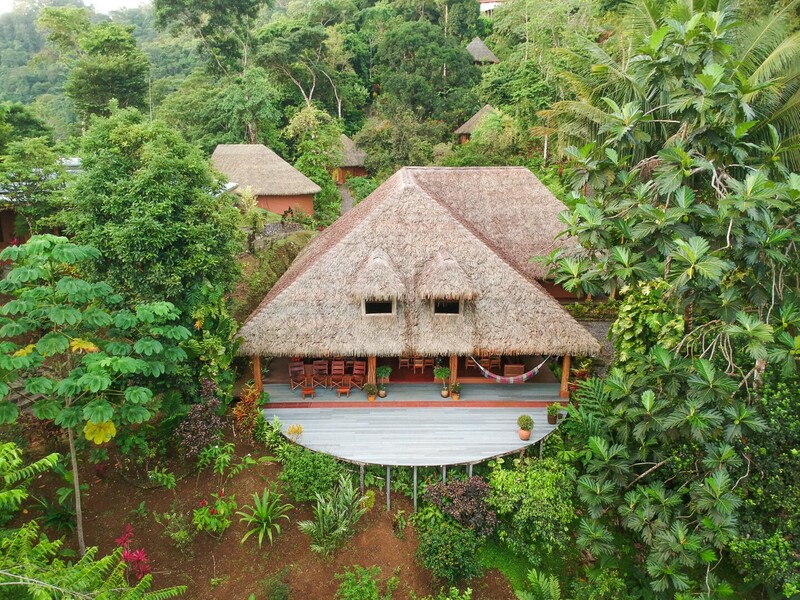 We are committed to selling products from local businesses in the gift shop and products that align with our mission and vision of creating a sustainable environment for the protection and preservation of the Osa Peninsula. You will find jewelry, crafts made of recyclable materials and, organic products, made by associations to protect the environment, and those that support entrepreneurial women’s groups and native groups. The library houses a great collection of books about the wildlife, novels, magazines and journals. 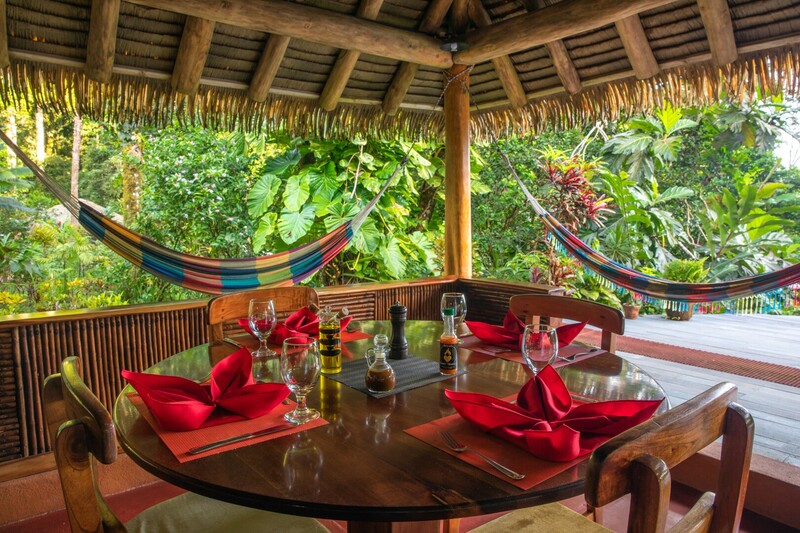 The spacious deck is ideal for bird watching, stargazing, or just absorbing the energy of the rainforest. 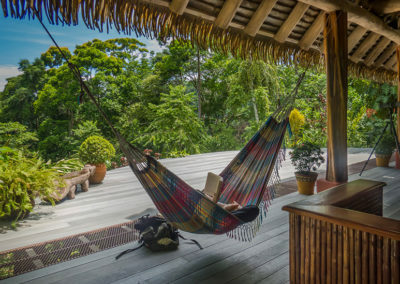 Comfortable rocking chairs, hammocks and couches line the perimeter of the Rancho, allowing ample space to find time alone enjoying the rainforest. Secluded in a beautiful garden alongside the rancho rests a natural rock encrusted pool perfect for sunbathing, cooling off from a vigorous tour, or just sitting and enjoying one of the most beautiful vistas in the world. 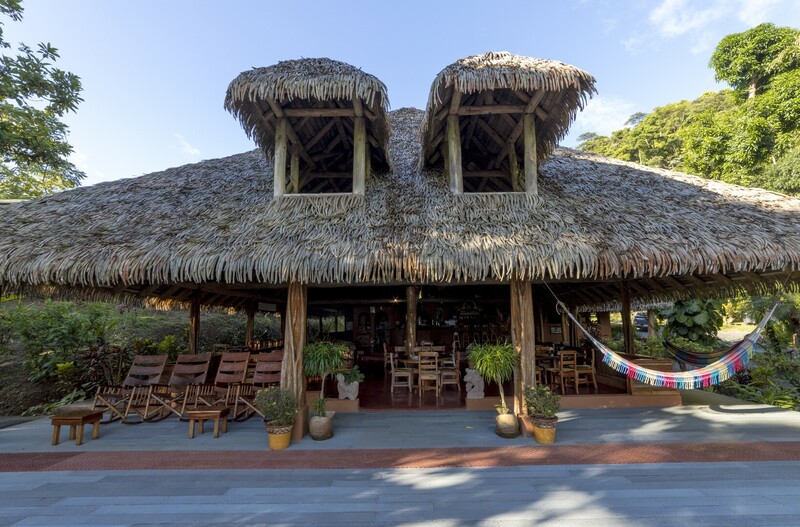 The restaurant, “El Eclipse Total”, is open all day and features inventive local cuisine and exotic native dishes, homemade breads, organic fruits and veggies, and scrumptious salads, accompanied with natural juices, sodas, or your favorite tropical libations. 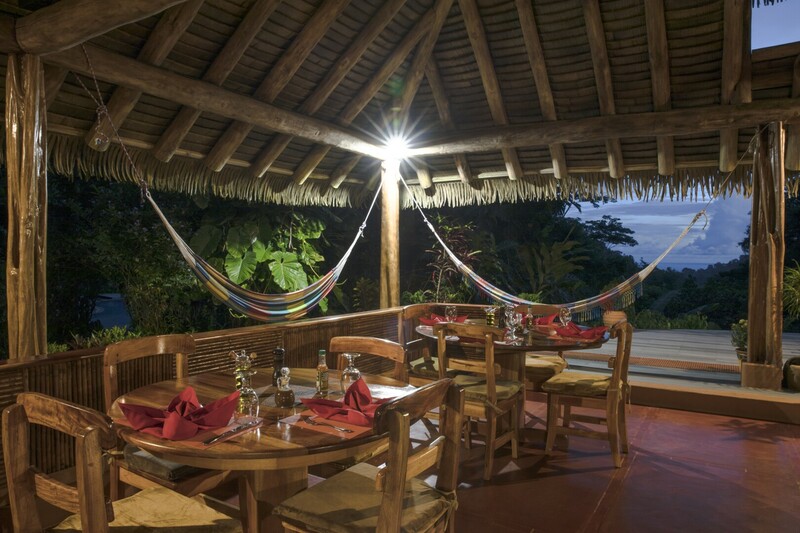 Everything at the lodge is prepared fresh each day often straight from our own organic garden. The dining area is open and spacious, affording comfort for dozens of guests. There’s even space for an occasional rainforest dance! 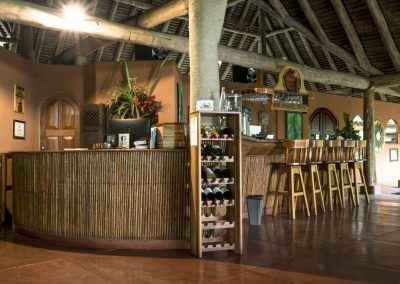 Lana and her staff have created a wonderful blend of natural landscaping and organic agricultural abundance surrounding the lodge. Counted among the fruit trees are mango, water apple, papaya, banana, china fruit, mandarin orange, lemon, cacao, avocado, and cashew. The pleasant, intoxicating aromas of ylang-ylang, frangipani, and night-blooming jasmine permeate the grounds. We also grow our own bananas, plantains, and pineapples. And what meal would be complete without herbs and spices? The lodge garden has hot and sweet chilies, turmeric, oregano, basil, mustard, ginger, cilantro, and many more. At Luna Lodge we have this map at the Rancho Grande where the people arrive. We have over 123 countries represented that have been to Luna Lodge. It is amazing all of the people that come to see us here at this paradise. 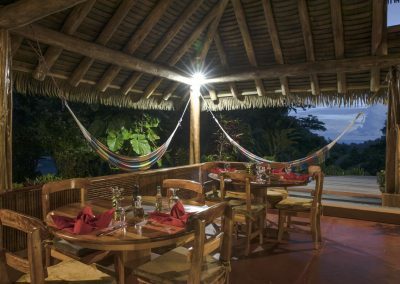 Luna lodge would love to invite you to experience our piece of heaven. 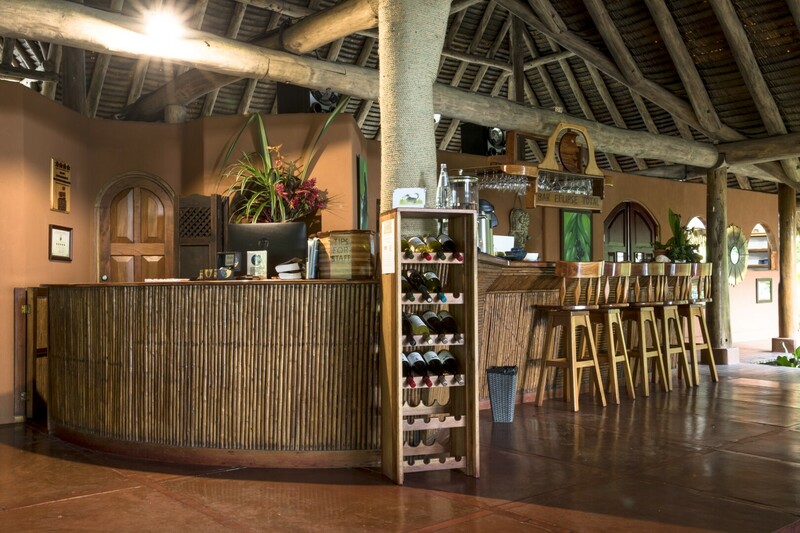 There is a range of accommodation options and activities to keep you as busy as you would like to be kept.